Most strategic initiatives involve complex environments. The emergent nature of complexity means that the use of experimentation is essential to progress. A good strategic initiatives design is one of experimenting, testing a hypothesis, and expecting emerging solutions. You want to anticipate (small) wins and enhance the benefits and keep the setbacks from getting worse. Fail-safe experiments. In these situations, mission failure is not an option. The only way to assure success in a fail-safe situation is to spend heavily on resources and redundancy. Safe-to-fail experiments. These are preferred for strategic initiatives. The experimental design is low cost and losses can be absorbed. In this situation, the purpose is to gain rapid learnings. Amplification. The practice of amplification is one that seeks to increase the probability and impact of small wins. Damping. The practice of damping seeks to decrease the probability and impact of setbacks. One of the biggest challenges for project managers in their transition into strategic initiative program management is to increase the use of experimentation and experimental design. Instead of linear, deterministic, and deductive approaches (methodology) the leader has to lean on non-linear and abductive approaches. It’s a different style of thinking. A good strategic initiative leader has a functional forward view to anticipate the outcomes of experiments. Do you agree? What is your best advice for avoiding common pitfalls during rapid growth? #1. Adding complexity by reacting to demand. First, consider a manageable growth pattern. Consider the challenge of a franchisor seeking to replicate a business model over a larger geography. Scale up is relatively straight forward. That doesn’t add much as complexity as this more-common pitfall of following the demand of large accounts to expand the footprint to get a bigger share of the business. Let’s say you to well selling products to a customer, but now they want you to provide services and consulting. That’s an entirely different business model that will add a lot of complexity. #2. Confusing the aspiration of growth with strategy. A statement that “our strategy is to grow” is an aspiration which may motivate you or others, but won’t fool an astute investor. Always remember that growth is a consequence of a strategy. Strategy is not vision and mission, but a design of resources and actions that advances the organization’s interests. If the interest is to grow, then what specific actions will you take (and sacrifices will you make) to focus on the right things? #3. Running out of money before you have a workable business model that can make the payments to your creditors, and sustains a return to your investors. #4. Only planning for success (or not planning at all). Everyone makes mistakes, and every firm makes mistakes. Sure, you want to avoid the ones that you can. But there will always be unavoidable mistakes. Too, there will be disruption. Can you sense, recognize, and robustly respond to those unpredictable forces? Here’s one bit of advice: Imagine yourself 15 years from now, and you have regrets over the decisions you made or didn’t make. As you contemplate this scenario, consider the mistakes that you or others have made that led to those imaginary regrets. 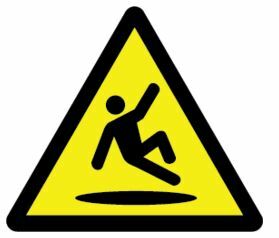 What other pitfalls are present? 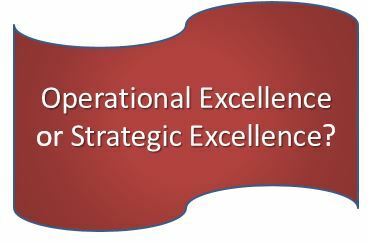 Is it ever too soon to start working toward operational excellence? What, if anything, needs to come before this? Excellence is one of those “know-it-when-I-see-it” words. It’s always worth trying to be as good as you can be. The more interesting word is operations, and that is something that needs to be defined in the context of the organization’s business model, starting with the related questions of “What are you producing?” and “What is your value proposition?” If your business success is dependent upon selling and services, you need to have a sound operational model in the areas of customer relationships (transactional, loyalty based, etc.) and distribution channels (direct sales, alliances, etc.). Too many executives are unable to answer the question, “How is value created?” If you want to have operational excellence, or strategic excellence, or any other kind of excellence, you have to understand and design your business model. There are no textbook answers for those questions: it comes from the fluid intelligence of strategic thinking. Finally, remember that the purpose of strategic initiative is to close a performance gap. Rather than chase so-called best practices, it’s better to identify the big challenges that face the organization and apply the best energies and measures to closing gaps that make the firm vulnerable to competition. Do you agree that understanding value creating is more important than understanding excellence? I find that when I adopt a design-thinking mentality, I develop more effective approaches for a strategic initiative. 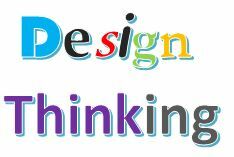 Here are five important landmarks of design thinking. Functionality – Strategic initiatives, by definition, are endeavors intended to close an organizational performance gap. I always keep in mind this question: What is the problem or opportunity that is embedded in the performance gap? As I think my way through this, I look for simple expressions of verbs and nouns. These verb-noun phrases are functions, and they provide me the essence of the endeavor. As an example, the function of a strategic initiative is to close a performance gap. Another hint: tie the performance gap to revenue streams or cost structures. Evolvement – Good design is not static, it is iterative and evolving, especially in the face of the complexity and chaos inherent in many strategic situations. The word evolvement signifies that new things emerge and shape the initiative in ways that were not foreseeable. On the demand side, stakeholders get new ideas and have new problems to solve, particularly as they start to imagine the new state. On the supply side, new technologies and events emerge. A good designer expects the design to evolve. Starting conditions are important in anticipating emergence. As I have described in earlier articles, getting the right people on the team is essential. I gravitate towards those people who have expertise rather than simply on the most experienced people. You need to plan for the emergence of new ideas. It is one reason why small wins are useful (for more, see this article). Tradeoffs – The familiar limits of time and resources are always concerns for strategic initiatives. To that, we must add the often ill-defined and ambiguous nature of strategic situations that can include technical uncertainty, stakeholder preferences, the need for discretion about sensitive matters, and the responses of rivals. One of the key questions that drives design is this: What should I emphasize and should I subordinate? Another way of asking strategy design questions is to focus on advantage. If you can gain advantage in one area, you will likely lose it in another. Thus, design thinking has to accept that tradeoffs will be made along the way. Elegance – In arts and architecture, we tend to be most struck by designs that are simple and powerful. Strategy has more punch when it is simple and powerful. Elegance is one of those qualities that is tough to define, but you know it when you’ve experienced it. Narrative – I’ve previously written about the importance of storytelling to strategic initiative leadership. A good story strikes a useful balance of familiarity and novelty. Thus, we could say that a story is designed, and a design is a story. When you inspect a design, look for familiar things and look for new things, as their combination helps you to understand the design in more of a narrative sense. If there is too much new, it may not be credible. If there is too much that is familiar, it will gain little attention. Don’t be afraid to be a little playful with this analogy. Take something familiar (your house, your car, your phone) and examine it through each of the above six lenses. That exercise will give you a sense of the challenges of good design. Next, try those same six lenses to a strategic initiative. The exercise is certain to help you think better about the design and leadership of the initiative. Do you agree that a sensibility about design is useful? What other examples can you identify? Companies are delivering only about two-thirds of their potential due to failures in planning and execution. The survey asked the executives what should be done to close this gap, and there were seven ranked-ordered responses. This article lists those factors and provides links to selected articles that provide useful practices. In this article, I discuss the communication of a decision into the strategic initiative program, and throughout the organization. You have to be clear on the decision itself, the value that is created, and especially on the future impacts on the organization and its competitive environment. One important element is to recognize the definition of a strategic initiative is that it is a program designed to close a performance gap. Programs are different than projects and portfolios. I think it is particularly important to emphasize that an organization should keep the number of strategic initiatives to a few. This article provides some evidence for why that is important. Priority 3 – Establish milestones and track progress against them. Timelines and project controls are useful starting points, but there is much more that is necessary for excellence with strategic initiatives. Use program management and project management disciplines. Understand the differences between programs, projects, and portfolios. This article describes why you should not be concerned about deadlines, and this article discusses small wins. I’ve also written on the topic of the metrics that matter. Priority 5 – Give people the resources, authority to execute. This article describes a helpful rule of thumb (allocate 20% of your time) for assuring that you’ve allocated enough effort. Another important point is to develop an effective working relationship between the program manager and sponsor, as described in this article. The program manager (a.k.a., strategic initiative leader) is probably the number one success factor, but it’s also important to have the right support expertise involved. 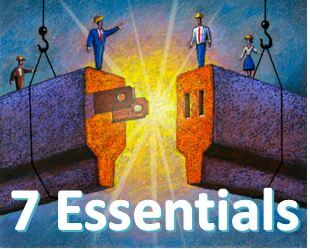 Priority 7 – Measure individual performance and make it more consequential. Accountability is the willingness to have your performance measured. You can learn more in this article. What do you think about these findings? Would you rank any of the priorities higher or lower? I am a technology project manager for a major financial-services company (MajFin). I’d like to share how I took the concept of “strategy as problem solving” and applied it to my own organization’s strategic problems. In MajFin, we have a large group that we call the Operate Team. It is dedicated to supporting the production environment, the large and complex computer systems that run the day-to-day business. The Operate team tends to be dissatisfied with the work they deliver. Too, many people perceived that customer satisfaction was also low. Unappreciated. The Operate Team members often worked very long, and sometimes irregular, hours in resolving critical system issues. Team members often feel that their contribution isn’t valued. Reactive. Much, if not most, of the work performed by the Operate Team is in reaction to some problem or event. While everyone is glad to see the problem fixed, there is often discussion as to why the group can’t anticipate more problems. Opaque. Due to the nature of that work, the amount of work performed by the Operate Team can be very difficult to measure. The Operate Team’s work is largely unseen by most in the broader organization. These symptoms were important to us and worthy of problem solving effort. I felt they are not just the result of some inaccurate perception or lack of understanding about the work being performed by the Operate team. Perceptions could be changed through better communications between the Operate Team and the broader organization; key problems needed solutions and this meant that there needed to be a strategy. Based on the problems identified, the translation from “problems” to “strategies” became clear. Unappreciated is transformed into value added, reactive to proactive, opaque to transparent. I had been told that strategy was a specialized kind of problem solving. This personal realization made it relevant. As I looked at how I had initially ordered the problem, I saw I was focusing on the most salient part of the story (the customer did not appreciate the efforts of the Operate Team). What I had done was focus on the most painful symptom, the Operate Team was unappreciated. Naturally, I saw the highest strategic priority being “value added.” But, as I looked deeper, I saw that there was a “strategy story” that with the flow of elements as shown in this graphic. I began to grasp the issue: our opaqueness (the work being performed is both unseen and poorly understood) was creating a reactive organizational response and behavior. This, in turn, creates the overall feeling of being unappreciated. This was my first cut. I needed to think about things not in terms of their emotional impact on me and the Operate Team, but rather in terms of X causes Y. Once I drew the graphics, the approach seemed obvious. Keep in mind that my situation at MajFin is like many other complex operating environments: there are many moving parts and everyone is busy focusing on all those moving parts. It is hard to find a good perspective, and hard to focus. The key lesson: Understand the linkages between visible symptoms and root causes. While I want to move to “value added” as quickly as possible, it became clear that I need to focus on the leading indicators. My most important strategic objective, Value Added, cannot be achieved without obtaining the benefits from the other two predecessor goals. Do you work in a complex environment? How do you gain a strategic perspective? Mental anchors are reference points that people use in decision making. As an example, people tend to be loss avoiders when making decisions because they are anchoring to the things they already have. Anchoring to the past or present allows the status quo to perpetuate. Strategic initiatives, by definition, are programs that intend to be transformative. Consider then, the challenge of cultural change is this: how do we change the reference points? 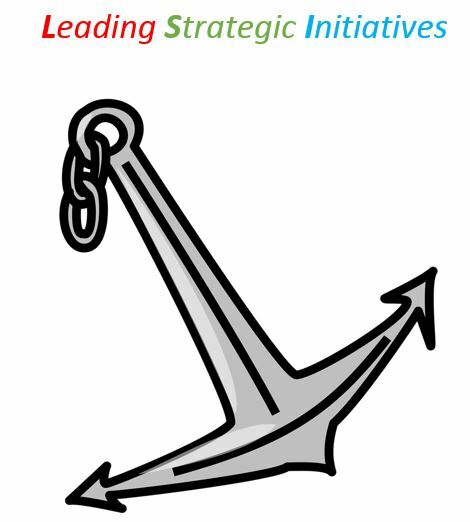 How might we loosen up the anchors to the present and strengthen the anchors of the future? Identify those beliefs that have become distorted. Here is an example: IBM’s Lew Gerstner faced a challenge with a corporate value called “respect for the individual.” When originally formulated by IBM’s founder (Thomas Watson), the idea of respect for the individual was simply that: show respect to others, and expect it in return. Over time this worthy idea devolved to create a culture of entitlement, with no accountability. Your organization likely has distorted beliefs that take away the focus on strategic imperatives. What are they? Be sensitive to habits and routines. Every established organization has them. Sometimes they are quite useful, but in too-many cases, they are inertia that blocks progress. Frame decisions as “carriers of future value.” Decisions are made in the present, but affect the future. Stated differently, a decision to perpetuate the status quo has a different value than a decision to invest. Since all resources become obsolete, a decision to carry on with the status quo may actually have negative value. Be open minded. Imagine the decisions, thoughts, and feelings of others. In particular, I find it helpful to imagine a “next generation” in the organization, and how they would view the significance of my strategic initiative. Be careful about announcing anchors for schedule and benefits. People want dates, budgets, and results. Whatever they first hear will become an anchor and set an expectation. Obviously, think it through and consider the presence of risks in the program. Too, be wary of accepting due dates and expectations; analyze their feasibility and if you don’t agree, make it part of your issues management approach. What are some other anchors?